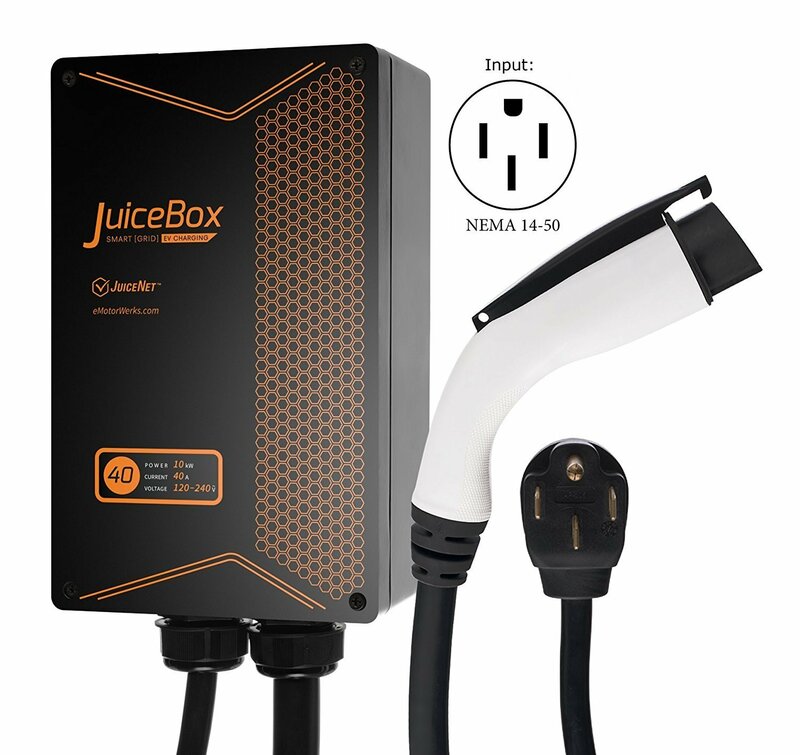 JuiceBox Pro 75 is Electric Motor Werks´s most powerful connected EVSE – with advanced smart grid features. 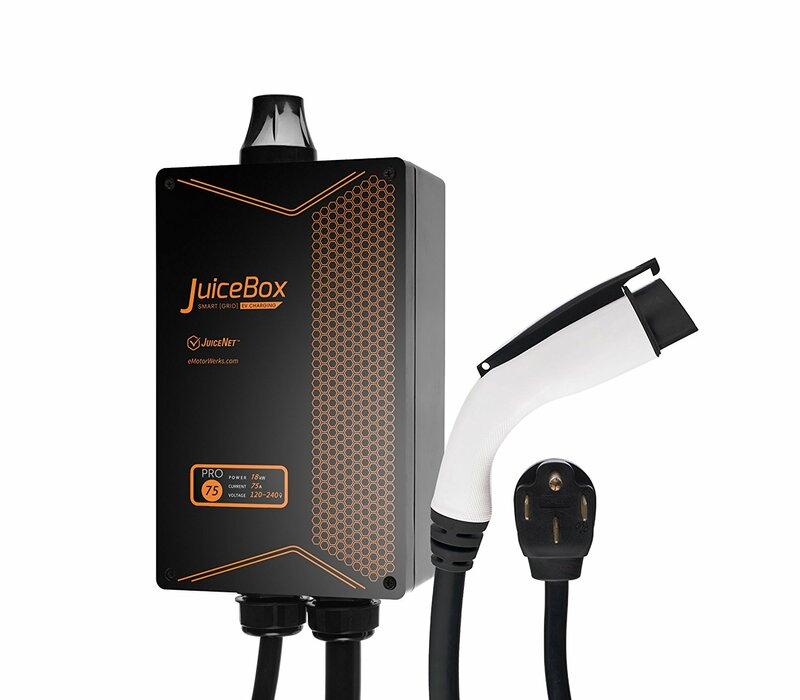 The 75-amp JuiceBox Pro is ready to charge the biggest EV batteries available, and it works with all production EVs on the road today (it will automatically adjust to your EV and will output just as much power as your EV is able to accept). 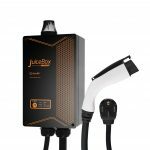 It offers far faster charging and a set of advanced JuiceNetTM features that, in many geographies, pays you to charge! 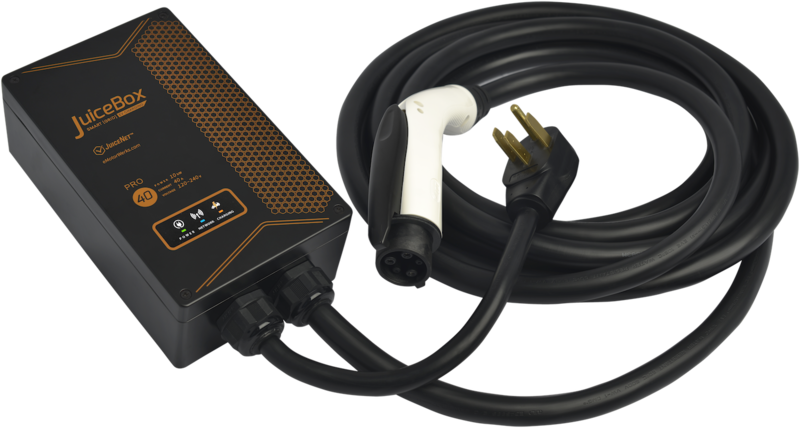 The Pro 75 has the power to fast charge any present or future EVs. With the Pro, enjoy; energy metering, WiFi connectivity, scheduling, notifications, smartphone app, and more. Pro 75 is the only charging station on the market that can max out the charging rate of Tesla dual charger cars (Model S or X). JuiceBox is Indoor/Outdoor rated.